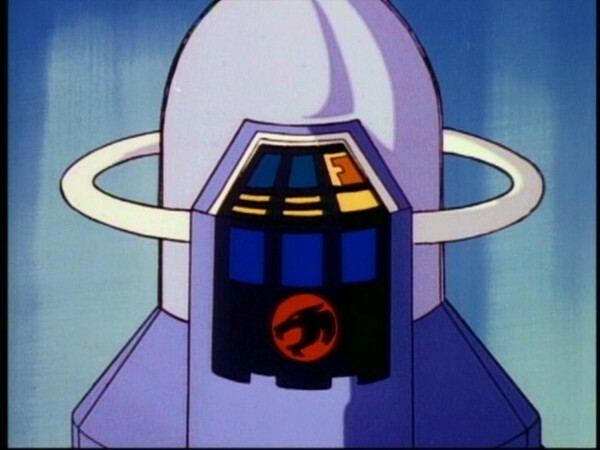 The MUTANTS create WARBOT, a Plun-Darrian war robot, to destroy Cats’ Lair. Unaware of this, LION-O enters the Time Capsule’s hologram and travels back in time and space to his home planet, ThunDERa. He arrives the day before the destruction of the planet, and all is in turmoil. LION-O is reunited with his childhood pet, KANO, who leads him to his blind father, CLAUD-US. LION-O fights off S-S-SLITHE and VULTUREMAN who menace CLAUD-US for the stolen plans of the WARBOT. CLAUD-US gives LION-O the plans. CLAUD-US remains on ThunDERa and LION-O travels back to Third Earth through the hologram to find the THUNDERCATS battling the WARBOT. LION-O utilizes CLAUD-US’ secret plans to pierce the WARBOT’s absorber disc, short-circuiting and destroying the monster robot. 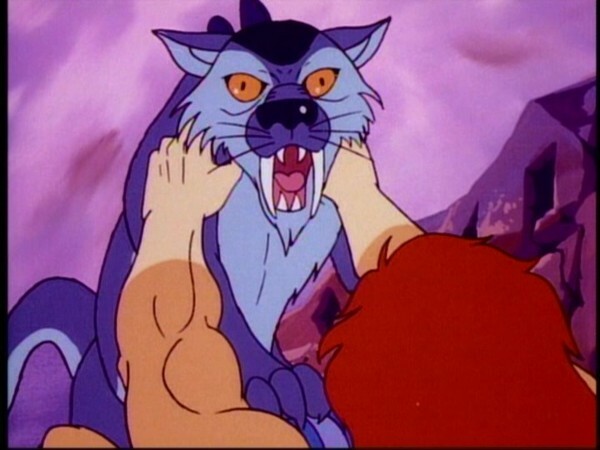 Lion-O, as Lord of the ThunderCats, shows curiosity to learn of his heritage. By traveling back in the time capsule, he seeks to learn about the culture of his ancestors. It was this culture that engendered the code by which he and the other ThunderCats live and which serves as their sustaining force. Lion-O’s interest and journey is rewarded with some technical knowledge and a lesson. 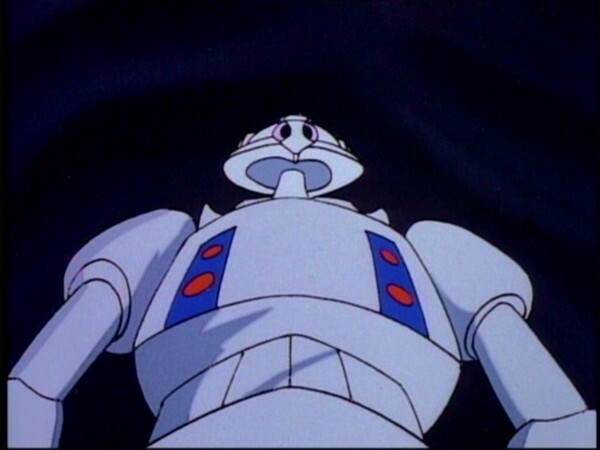 The plans of the Warbot help him defeat the Mutants’ plans to destroy the ThunderCats. And the lesson is that history can be a significant teacher. An awareness of one’s heritage and the events that shaped the present can aid us in understanding and living in the present and in avoiding mistakes in building a better future. In seeking to find out about his heritage, Lion-O is confirming his identity as a ThunderCat. One’s identity is socially bestowed, socially sustained, and socially transformed. It is the process of socialization by which individuals become prepared for the roles they will play in society. Children become socialized by various agencies within society, such as the family, peer groups, the media and the school system. The beginnings of the child’s appreciation of roles is achieved in his interactions with adults and peers as he perceives different roles are required in different contexts and he learns to recognize the expectations of others in his own behavior. 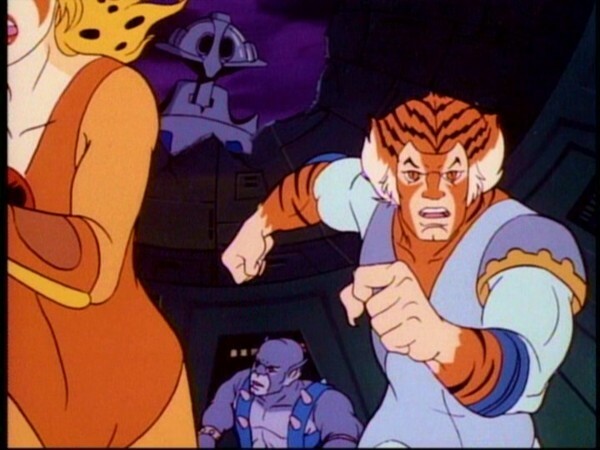 I make no secret of the fact that, even though I love the ThunderCats series as a whole, my absolute, number one passion for the show stems from its first season. 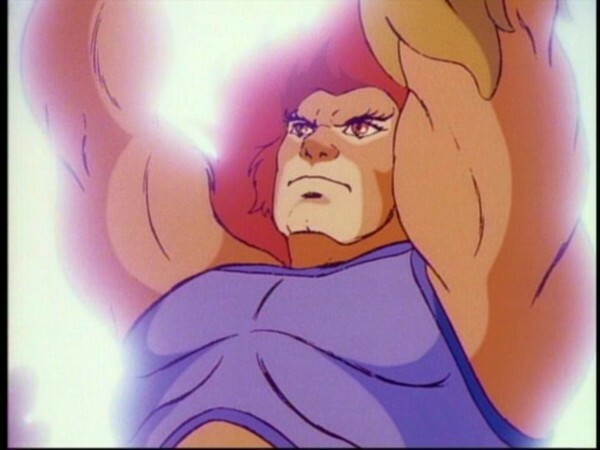 Whilst it has its critics, for me Season One of ThunderCats was a pulling together of the various elements needed to make the perfect animated action-adventure show in the 1980s: great writing with good and straightforward character development, high-quality animation, memorable and fluid action sequences, and a healthy injection of morality and pro-social values within the episodes. 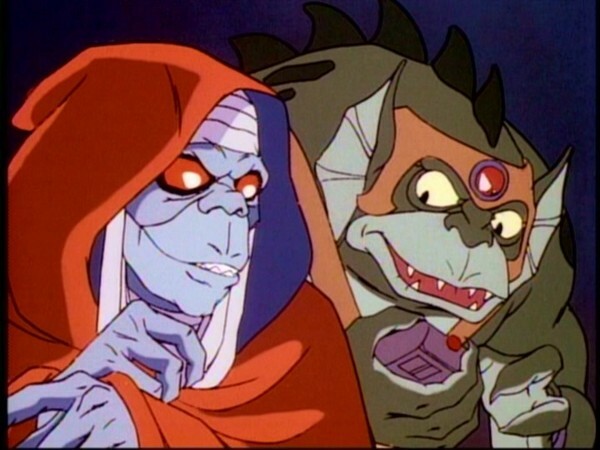 There are certain episodes of the ThunderCats series that define these various elements, and then certain ones that seem to showcase many or all of them. This episode is one of those, and as such serves as one of the standout episodes from the show’s first season. Such is the strength of this episode that the biggest plot gripe needs getting out the way early. At no point during the episode is an explanation given as to how being caught in the holographic projection of Thundera from the Time Capsule could cause Lion-O to travel back to his home planet’s past, to, by sheer coincidence, the day before his planet explodes. Obviously from a story perspective, picking this date is both the obvious choice and, when viewing some of the spectacular scenes that follow, the best choice, too; so I for one can certainly forgive this coincidence for the story elements that it unlocks. But nonetheless it feels like an oversight on writer Bob Haney’s part that how Lion-O wound up on Thundera is not more clearly explained. Setting that aside, the episode is full to bursting with many memorable events. The Plun-Darrian Warbot is a brilliant creation, showing not just the Mutants making use of their newfound technological advantage but also showing what a war-like race the Mutants have always been. 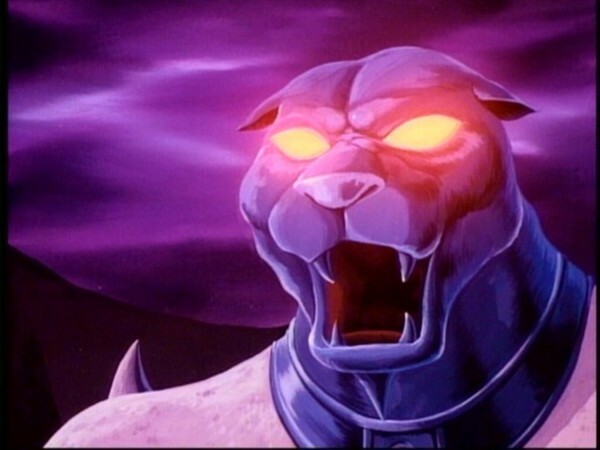 That the Warbot should cause such comprehensive damage to Cats’ Lair (to an extent not seen again until it is attacked by the giant Mumm-Ra in “The Last Day”) adds even more of a sense of threat to the creature, and by extension makes Mumm-Ra and the Mutants themselves seem more menacing, putting them on more of an equal footing with their feline adversaries. Seeing Lion-O back on Thundera is a clever move, because it allows Lion-O (who evidently has very few memories of his home planet despite bordering on adolescence when he was forced to leave) to view Thundera through the viewers’ eyes—with a sense of wide-eyed wonder at everything around him. 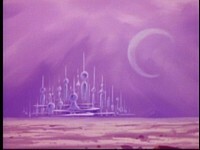 Adding the element of oncoming danger by way of the planet’s impending destruction adds another sense of threat to the episode, and also serves to unlock the plot device that answers an age-old question—if Jaga is Lion-O’s guardian, and Lion-O is to be hereditary Lord of the ThunderCats, who was Lion-O’s father and what became of him? Why was he not on the Flagship with the other ThunderCats? This question is answered in a plausible and emotional way, and the scenes of Lion-O with Claud-Us in this episode are some of the most moving and memorable, not just of this particular installment, but of the whole series. The character of Claud-Us himself is extremely well thought-out. Whilst the instinct might have been to create simply an older, wiser version of Lion-O, complete with strength and daring-do, instead Bob Haney goes in completely the opposite direction and creates a somewhat frail, handicapped Lord of the ThunderCats—one who we learn, by virtue of his having lost his vision battling the Mutants, clearly was a warrior in the past. The entire thing is executed to perfection, and just serves to build Lion-O’s character in the process. 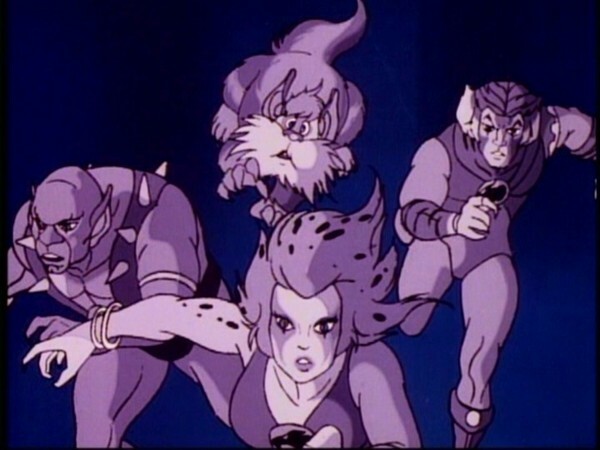 Even when Lion-O returns to Thundera, the episode reverts only to doing what it does best: providing the ThunderCats (particularly Lion-O) with an exciting, death-defying action sequence, but this time tying the solution to the ThunderCats’ problem directly into Lion-O’s journey back to Thundera and his recovery of the Warbot’s plans from Claud-Us. 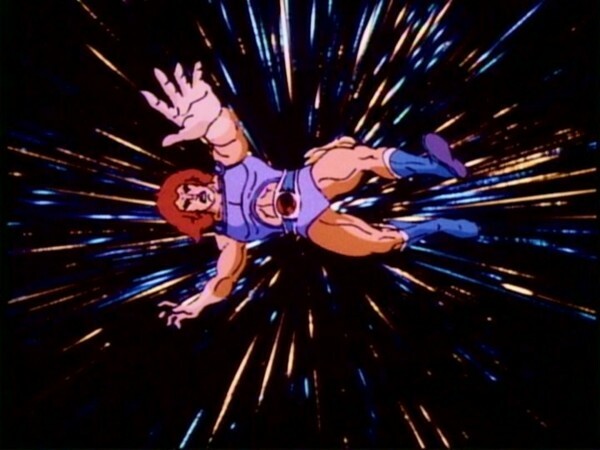 Whilst it could be argued that some of these points are a bit convenient, allowing some suspension of disbelief greatly enhances the circular aspect of these events, adding a great deal of meaning to Lion-O’s time traveling adventure rather than just allowing it to be a random event with its own self-contained storyline and dilemma. I could write about this episode at greater lengths, praising its great depth and brilliance. This episode is a fan favorite for many, and it’s not difficult to see why. With everything this episode has going for it, this is one episode of ThunderCats that the remaining 129 episodes as a whole would have been weaker without. A pure, unbridled, no-questions-asked classic. This episode is a sequel to “The Time Capsule”, which appeared a few episodes earlier. 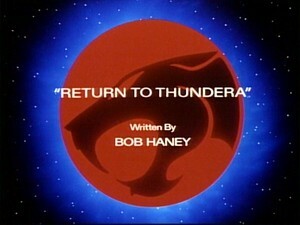 However, whereas that episode was written by Peter Lawrence, “Return to Thundera” was written by Bob Haney. This episode features the second appearance of Vultureman. Like his first appearance in “Lord of the Snows”, in this episode Vultureman is once again voiced by Bob McFadden! However, for this appearance his voice is slightly deeper and so closer to the voice he would be given by his regular voice actor, Earl Hammond. 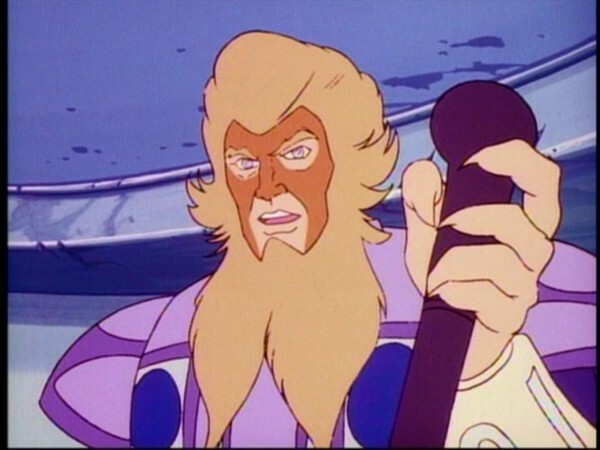 In this episode we are introduced for the first time to Lion-O’s father, Claud-Us. 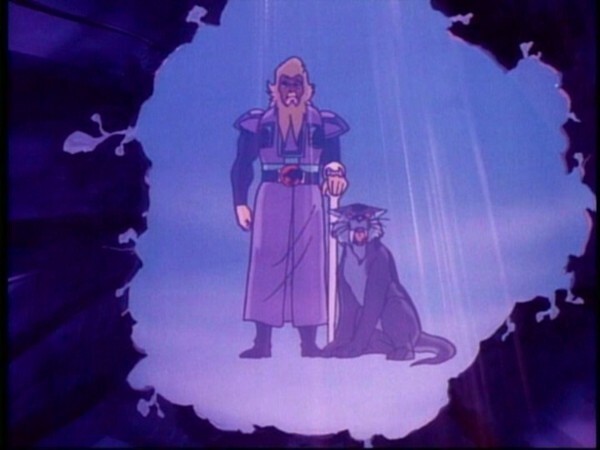 Whilst this episode suggests, in its final scene in particular, that Claud-Us died when Thundera exploded, he would in fact make a return appearance in “Shadowmaster”, in which it is revealed that he has been held prisoner by the titular villain since Thundera’s destruction. 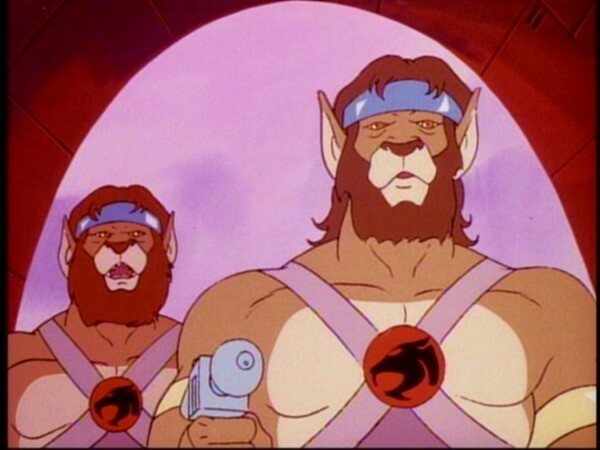 Even though Claud-Us survived Thundera’s explosion, no explanation is ever given as to what became of his and Lion-O’s pet, Kano. Sadly, Kano is likely to have died when Thundera was destroyed. Even though it is a central plot point of this episode, no on-screen explanation is ever given as to how being caught by the Time Capsule’s projection caused Lion-O to travel back in time to Thundera.